As some of you have heard already, I am stepping down as Emerald City Supporters FC Director this fall. I have been so honored to serve this duty to the club and to the Emerald City Supporters. It has been a blessing to get to meet, work alongside, coach, and play with all of you. Although not every decision was the perfect one, I believe that I left the club stronger and more vibrant than it was before. We now feature more teams and players across more diverse skill levels than ever before. Because of this, we have been able to get more and more Emerald City Supporters to regularly play the sport they love, in addition to bringing more local soccer players into the ECS family. Of this, I am extremely proud. I am happy to say that I will remain involved in helping the ECS FC Management team, so you'll certainly see me helping out at various games, fundraisers, tournaments, and other events. I also plan to keep playing myself! However, I am glad to pass the leader's torch to our next director to continue our wonderful tradition. I'd especially like to thank my wonderful coaches, managers, and admins who make up our ECS FC Management team. We could not run the club without their tireless efforts. They have my sincerest gratitude always. It is with great pleasure that I introduce to you Cameron Ballantyne, our new ECS FC Director. After an interview process this summer, Cameron was confirmed this July by ECS Leadership, ECS FC Management, and the ECS FC Board. For the past few years, Cam has played with our top competitive men's team, ECS FC Black. For the first few seasons he was an on-field leader of the team and he took on the role of the team captain and manager when duty to the team called. He has featured for the Men's I team in the past few editions of the Supporters' Cup against Timbers Army FC - you might remember his long-throw leading to an amazing goal at Starfire in 2015, or his game-clinching penalty kick in Portland in 2014. 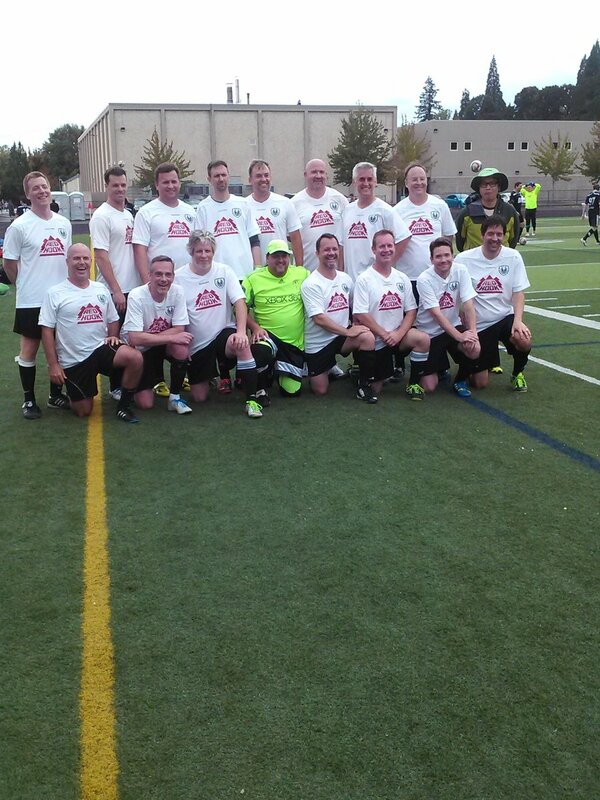 Before playing with ECS FC, Cam played Division I soccer at Gonzaga University (as a fellow alum, I say go Zags!). But perhaps even more relevantly to his new role with ECS FC, Cameron successfully served as the president of the Gonzaga club soccer team for two years after his seasons at the D1 level. His leadership helped to turn a debt-ridden club into a strong one: fiscally, operationally, and in terms of on-field results. He helped set a standard of excellence for that club as well as a strong organizational base, both of which were passed on to future classes. In addition to all of this, two things have especially impressed us about Cam: the way he gets people to really respond positively to him, and his vision for the clubwide COMMUNITY that ECS FC can and should be. The way he gets people to respond to him will truly be a special skill for this position, and his vision inspires me as well. I am very happy and proud to have such a great leader to take the reigns and lead this club into the future. For the next two months, I'll be helping get Cam on-board with everything - the work can be a handful, so we feel it will help to ease him in to the role. During this time, we will collaborate and share the duties and responsibilities of director. As of September 30th, I will be transitioned out of the Director role entirely. In the meantime, you may contact either of us for any official ECS FC business. ECS FC players and fans will have a great opportunity to talk to Cameron in person this Sunday, August 7th, at our ECS FC General Members' Meeting. This will be held at 6 PM at Hellbent Brewing (21+) on Lake City Way in Seattle. I invite everyone to join us for Cam's first official event as ECS FC Director, as we discuss the current and future state of our club. I am honored to have served in this role for ECS FC and am so happy to have Cameron following in my footsteps. I know that under his watch, our club will continue to do amazing things, and I'm very excited for our future! Finally, I strongly encourage anyone who feels passionately about this club to VOLUNTEER your time and effort, offer help as you can, even consider taking on a role in managing part of the club administration. There is no lack of passion among our players, so please offer to put that forward to good use! Whether it is myself, my predecessor Brandon Lynch, or Cameron, the director is only able lead the club with the help of passionate, skilled, and dedicated volunteers who love this club as much as we do. As per Article V of ECS FC's official bylaws (found at: http://www.ecsfc.com/home/bylaws), ECS FC shall hold at least one general membership meeting per year. We are proud to announce that the 2016 ECS FC Annual General Meeting will be held on Saturday August 7th at Hellbent Brewing in Lake City (13035 Lake City Way NE, Seattle, WA 98125), open to all ECS FC players, coaches, and stakeholders. All are invited to join us before the meeting for a watch party for Sounders @ Orlando City at 4 PM. The ECS FC AGM will begin upstairs right after the end of the Sounders match, at 6 PM. Hellbent is all-ages and dog-friendly, and will have food trucks in the parking lot. ECS members will receive a 15% discount as well! In addition to speaking to the questions and comments brought forth by ECS FC players, the Board will make a presentation about the current and future state of our club and share some special news about projects that the club is undertaking. We will add as many of these topics as time allows. If you don't feel like posting in advance, you may still bring up the question, comment, or concern in person. We hope to keep this meeting to no longer than an hour and a half, but will keep going up to two hours if needed. I hope to see many of you on Saturday the 7th! This is an excellent chance to learn more what ECS FC has been able to do and to discuss what we want to see from our club during the coming months and years. Many of you are very passionate for our club, and this is a great way to be involved and give us feedback to help shape our future. 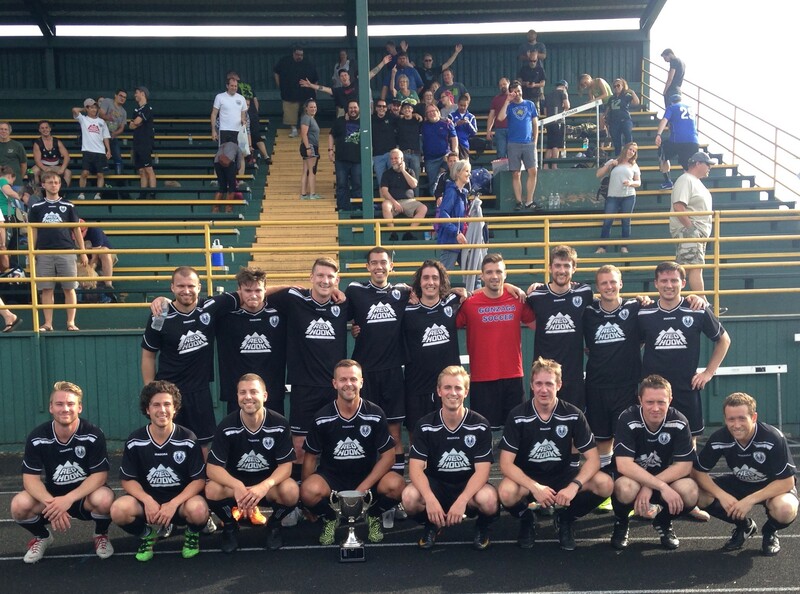 Despite splitting the results of day's matches with Timbers Army FC, ECS FC has retained the Supporters' Cup for a sixth-straight year thanks to a 4-0 win in the Men's I finale. Opening the day's matches, the first-ever ECS vs TA O-40s match ended in a hard-fought 0-0 draw. After last year's thrilling 3-2 comeback win, ECS FC Men's II was unable to overcome Northern Alliance FC and fell 3-1 despite an excellent goal from Brian O'Keefe. 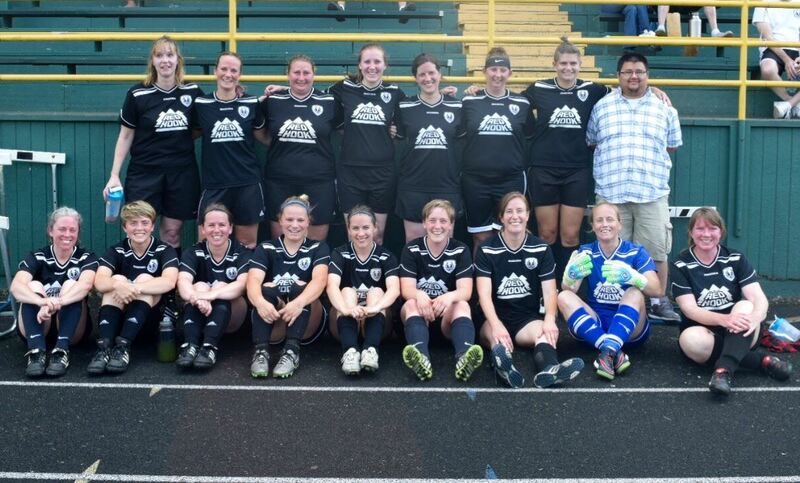 The ECS FC Women were unable to notch their first win of the three-year-old rivalry with Whipsaws FC, losing 4-1 with a goal from Kathleen Driscoll. In the day's finale, the ECS FC Men's I dominated from start to finish over FC Portland, and Jesse Uman's brace helped power the team to a comprehensive 4-0 win. The 2016 Supporters' Cup matches between Emerald City Supporters FC and Timbers Army FC are officially set for time and venue. This year's edition of the series will take place on Saturday, July 16th, and will be hosted at Rex Putnam High School in Milwaukie, OR, located at 4950 SE Roethe Rd, Milwaukie, OR 97267. The opening match, the first-ever O-40 match of the series, will kick off at 10:00 AM. The Men's I trophy match will conclude the day with a 4 PM kickoff. ECS FC invites all Emerald City Supporters and Sounders fans to join us for these matches during this Cascadia Cup weekend to cheer on the boys from Seattle! IMPORTANT: alcohol is strictly prohibited on school grounds, and any spectators or players observed to be consuming alcohol will be asked to leave the premises. The Supporters' Cup series is extremely important for the Emerald City Supporters and ECS FC players, and any violations of the alcohol policy may jeopardize the long-term viability of this event. There are a handful of bars within walking distance of the venue, and ECS FC encourages all fans to visit those establishments should they want to enjoy an adult beverage during the afternoon! The ECS afterparty for the 2016 Supporters' Cup matches will take place at the same location as it did in 2014, at Spirit of 77 bar in Portland. Located right near the MAX line, this should provide good access for those staying in Portland that evening. Emerald City Supporters FC are pleased to announce that the annual Supporters' Cup match series against Timbers Army FC is set to take place in Portland on Saturday July 16th, 2016, one day before the Sounders take on the Timbers at Providence Park. In addition to the Men's I, Men's II, and Women's matches, a new Over-40 Men's match will be added to the series for the 2016 edition. Further details including match times, venue, and roster selection process are to be announced in the coming months. Please visit ecsfc.com, see the ECS FC page on Facebook, or follow @ECS_FC on Twitter to stay up-to-date as more information is announced. Since 2010, the recreational amateur sporting clubs of these two supporters groups have faced off in annual games coinciding with a Sounders vs Timbers match weekend and rotating between host cities each year. What began as a single match between the two groups in March of 2010 has grown to include men’s second team matches starting in 2012, a women’s match in 2014 edition, and now an Over-40 Men's match in 2016. Though the teams are composed solely of recreational soccer players, both supporters groups view these matches with utmost importance as they are playing not only for the pride of their home cities but also for the honor of their fellow supporters. Underlining this importance, the winner of the Men’s first team match will hoist the champions’ trophy which was introduced in 2013. ECS FC holds the series advantage over Timbers Army FC with a combined 8 wins, 3 losses, and 1 draw, and has won each Men's I match since 2011. 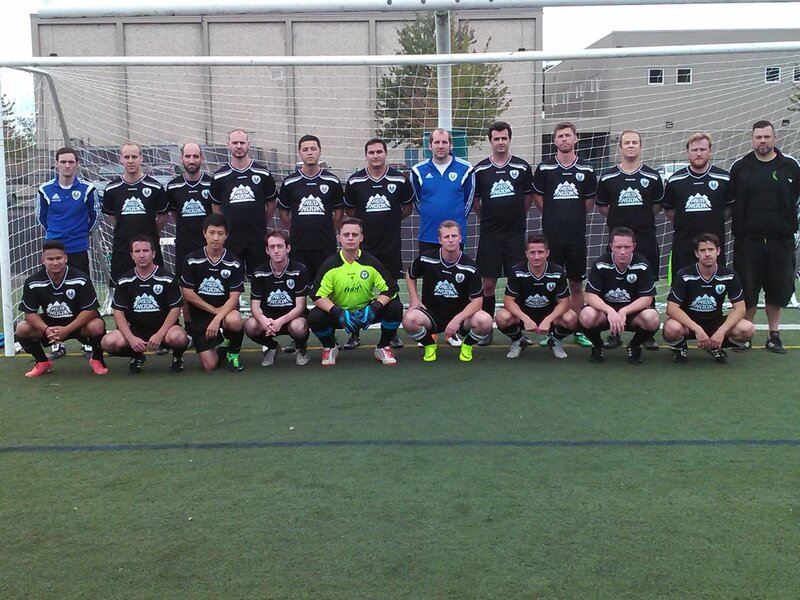 In the 2015 matches hosted in Starfire Sports Complex in Tukwila, WA, ECS FC took two of the three games - including the Men's I match - to retain the Supporters' Cup. ECS FC would like to extend an invitation to all ECS members and Sounders fans who wish to come down early for the weekend to support Seattle soccer in the lead-in to the Cascadia Cup match. In 2014, we had a sizable and boisterous contingent of ECS FC fans whose support rallied the teams made the matches extremely special for our players. We are hoping for an even stronger traveling support in 2016!